Yes....really. Help us find our people! Pre-order the album, get cool stuff and help us get it done. 732 backers pledged $52,837 to help bring this project to life. We are Fleming and John; a husband and wife Duo from Nashville, TN. Two Albums ("Delusions of Grandeur" and "The Way We Are") were released in the 90's on REX Records and Universal Records. Since then, we've been having kids and making music. Players will include drummers; Shawn McWilliams, Lindsay Jamieson and Bobby Huff. Matt Slocum on Cello, Strings from "The Love Sponge Strings" plus some guest appearances. All the backers will get an immediate download of a new song that will be on the album. SUPER True Fans will get invitations to the "Private Backer/Party Show" at The East Side Manor (courtesy of Todd Burkett). The Party/Show will be an informal event...BBQ? Campfire? "Picking party?" It'll be fun. They will also get an immediate shipment from our 'stash' of REX and Universal pressings of "Delusions of Grandeur" (LIMITED!) 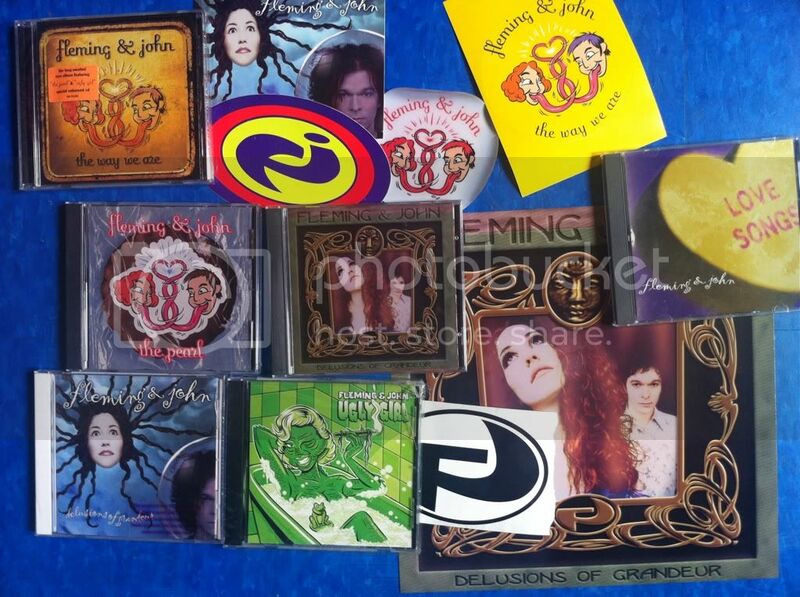 or "The Way We Are" CD's, an assortment of CD Singles ("The Pearl" Moon Pie artwork, "Love Songs" Conversation Heart artwork and "Ugly Girl" Creature from the Black Lagoon artwork! ). 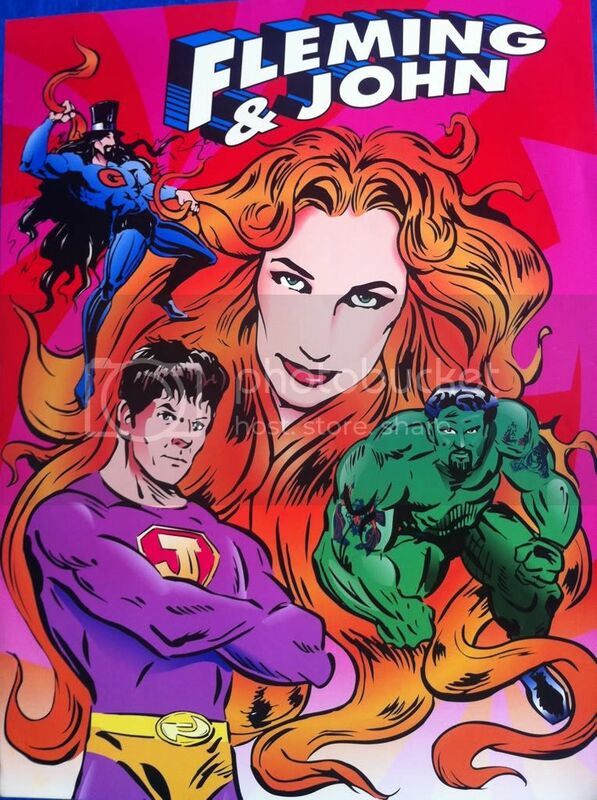 Some of our old "Superhero" posters (LIMITED!) drawn by Brad Talbott (F&J, Shawn and Stan Rawls as The Fantastic 4), some REX "Delusions of Grandeur 12" Poster Flats, original F&J Stickers....we are still unearthing a few gems. After the Album is completed we will book a date for our "Private Backer Party/Show", and a record release club show in Nashville, a few tour dates? House Shows? ....looking forward to it! We'll keep you all in the loop with progress reports and give as much advance notice on the Private Backer/Party/Show and Nashville album release show. Demos of new songs as we are working on them. Exclusive video from the studio. Fun cover songs, original OLD demos, old photos, old tour videos....digging up the archives. Wear pants that are too small for you, eat hot chicken, drink $8 coffee, go Beard Watching, tour of the ABC Show "Nashville" locations :), go for a bike ride, browse the record store, shop for ironic hats, get mugged. Stolen from the set by our tour manager from the Conan O'Brien appearance 4-2-96 with Anna Paquin and William Shatner. Pick a song for us to record. It can be a cover or one of our old songs. You will be prominently thanked. We will rename our studio (The International House of Fleming) after you in the Liner Notes on this CD and LP. Your name will be listed in the credits as an Executive Producer. You will be the first backer to hear the finished album. You can come to Nashville to record your vocals or upload files. We will write/produce/record a song for/with you and Fleming will sing it.